Oh, Shelley, we were so close, yet so far away! 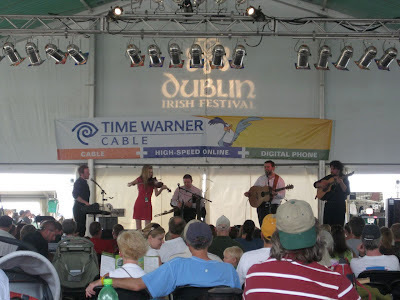 Our brief visit to Dublin ended on Wednesday. We saw all the activity as the Festival was getting set up. I had no idea it was such a large event. 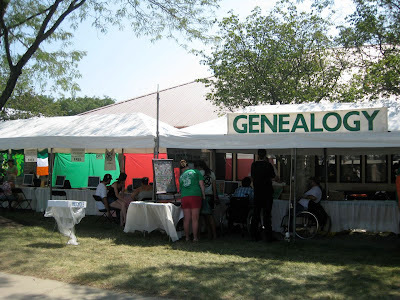 We are hoping we will make it on our visit to Ohio next year, and will definitely make a stop at the Genealogy tent! 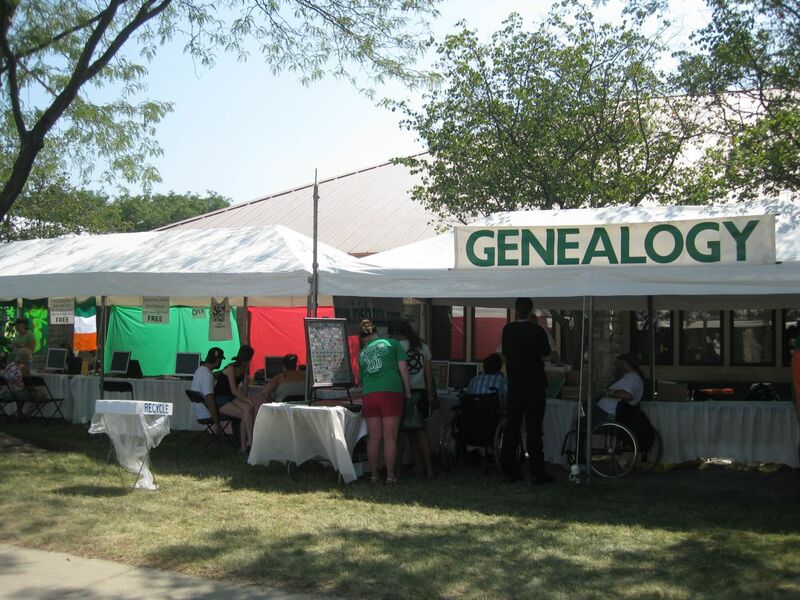 What a great resource you all are offering to people interested in their Irish heritage. Sorry to miss you, Jacqi! Yes, the Festival is huge. Hope you can make it next year--be sure to let me know so we can meet up! When will you be there? I will be there tomorrow too! 12-5! My shift is 3-close but I'll probably come a little earlier. See you there!